To date, our most shared image ever! 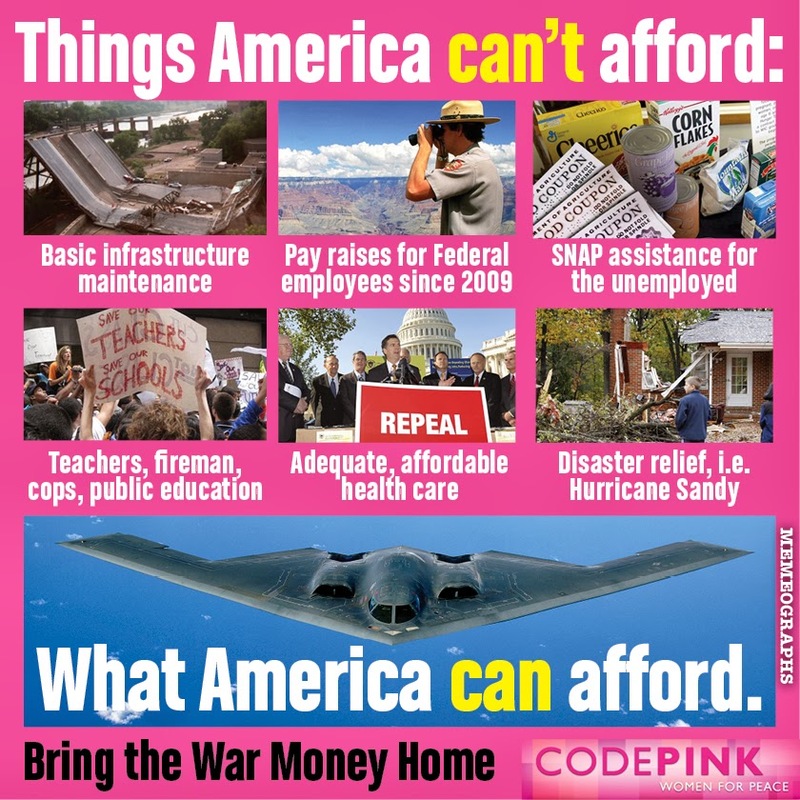 CODEPINK and National Priorities Project have teamed up to sponsor a contest for the Bring Our War $$ Home campaign! Contestants are invited to use their creativity to design a shareable image that shows what isn't being funded while the U.S. continues to spends $600+ billion a year -- year after year -- on the Pentagon budget. National Priorities is the perfect partner for the contest because of their user-friendly federal budget tools. These tools can tell how much your town, city, state or congressional district actually paid in taxes for military spending -- and how many Head Start slots or college scholarships or solar panel equipped homes that could have funded instead. 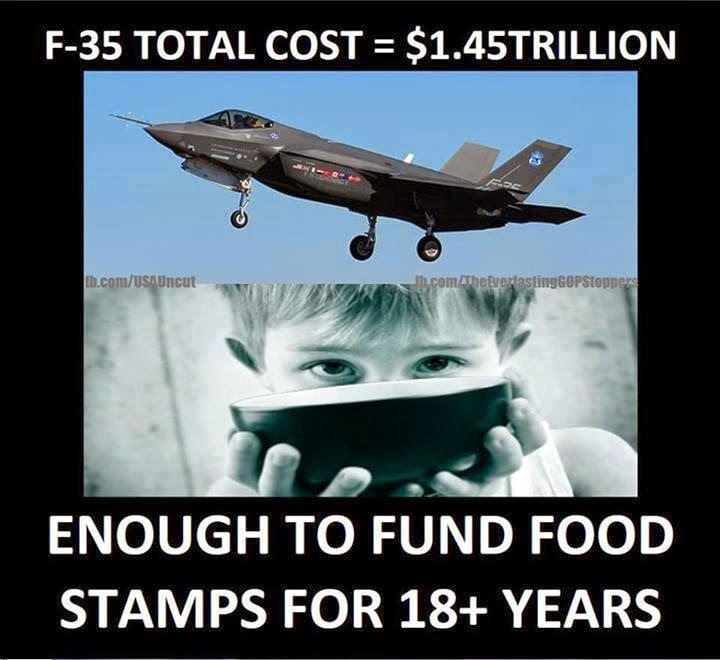 The contest will be judged by activists all over the country with the winners announced in time for Global Day of Action Against Military Spending (GDAMS) April 14 and federal income tax day April 15. I created this one. You can do much, much better! All true. But, I notice that $ for women's reproductive health care including contraception and abortion is missing.